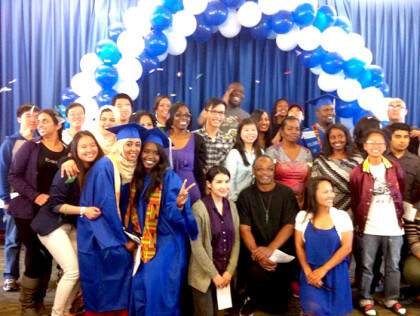 On Wednesday, May 22, 2014, the College of Alameda celebrated the achievements of the EOPS/CARE and CalWORKs graduates. The EOPS/CARE/CalWORKs class of 2014 is comprised of 76 students who will graduate, transfer and/or receive a Certificate of Completion. This is a phenomenal class as the Fall 2013 and Spring 2014 COA scholarship winners, as well as the Jack Kent Cook Foundation scholarship awardee, were overwhelming EOPS/CARE and/or CalWORKs students – all of whom graduated with higher or highest honors. Councilmember Desley Brooks was the keynote speaker; and all of the COA administrators were present to congratulate the honorees.